This is part three in a five-part series on building your chiropractic practice (start at part one). 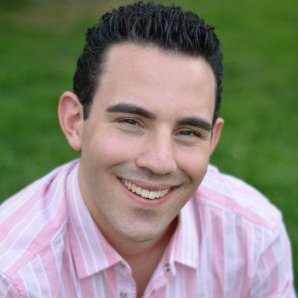 Today’s contributor is Jared Yellin, the founder of Synduit, a done-for-you marketing system. He has served the chiropractic profession for the past 10 years, employing a company chiropractor for his entire team. When Jared isn’t helping chiropractors grow their practices, he enjoys spending time with his wife and nine-month-old daughter. 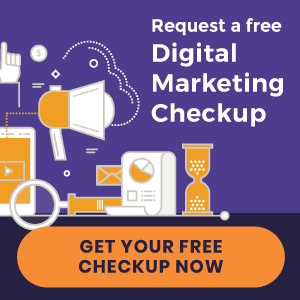 As the Internet and online marketing provide chiropractors with more and more new ways to promote their practices, many overlook the fundamentals necessary for growing a practice. I see many chiropractors trying to figure out the Facebook algorithms and wasting massive amounts of energy and momentum in the process. Now, I’m a huge advocate of leveraging modern technology, but let’s not forget that the fundamentals have always worked and the chiropractors who have developed larger practices first focused on the fundamentals. First and foremost, chiropractic care is personal. You touch the patient. You care about the whole person, not merely their presenting symptoms. Ultimately, successfully growing a practice is about the quality, depth and number of personal relationships you build in your community. In other words, you have to build and maintain a power network. A power network is a group of like-minded people who are committed to a cause, to something of significance. They are committed to making an impact. And the way that you can objectify this and lay it out for yourself is by creating a spreadsheet identifying the names of people in the network in three different categories. The first category is the Raving Fans. 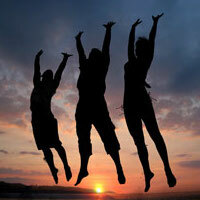 These are typically patients who have seen the results of doing business with a chiropractor and using their services. For these people, it is really important that they capture their story on video because it shows their chiropractic journey, and the footage can be reused and repurposed time and time again as a form of social proof of the wonders of chiropractic. The next category is the Wild Supporters. These are simply people who believe in what the chiropractor believes in. These like-minded people often run businesses in your community. You might find them at the local yoga studio. Or it might be the local health coach. Or they might hang out at the local health food store. These could be some of your Wild Supporters – people who absolutely believe deeply in vitalism and what the chiropractor believes in. Then, finally, there is what I call Synergistic Relationships. This category could include the mayor, or the school superintendent, or it could include the PTA, or a moms’ group in the community. What’s important is that these people are looking for win-wins. They want to find a way to educate a certain group of people, and the chiropractor is the authority and the expert. And they want to form a synergistic relationship with this chiropractor so that everyone can win as a result. One of the things we teach at Synduit is that every chiropractor should be hosting at least one live event or possibly a webinar each month. I favor live events. And if possible, you should always find someone within your power network to partner with. This is a critical distinction. Going it alone is more difficult and far less effective. In fact, it’s probably why so many chiropractors don’t do live events. Choose a partner with whom you have some type of synergistic relationship and who is super motivated because they want to benefit from the event as well. You must keep your Raving Fans inspired. You must remind them of the changes they’ve experienced because of your chiropractic care. Many forget what their life was like before they tried chiropractic. That’s why it’s so important to capture the “before” and “after” on video – then they can look back and see how far they have come as a result of chiropractic. Remind them on a regular basis so that when there is an event or a webinar, or a patient appreciation day, you can engage your Raving Fans to go out and share the news and help attract people to the event. The Wild Supporters need information that they can share. Think about the local yoga studio. You’re holding an event on how to raise healthy families, and the yoga studio needs to have an emailed copy explaining the event so that they can spread the information on their database, social media posts, posters and flyers that they hang up around their studio. And it goes both ways. You are a Wild Supporter of the yoga studio, so when they are hosting something, you should obviously do the same for them. To leverage Synergistic Relationships, chiropractors need to have meetings with the people with whom they have these relationships on a regular basis, where they brainstorm how to make a particular event, such as a patient appreciation day, a win/win/win – where participants are winning, the chiropractor is winning and the community is winning. That’s the key to holding successful practice events. It’s easy. Go and introduce yourself. The beauty of being a chiropractor is that you’re focusing on a local level. 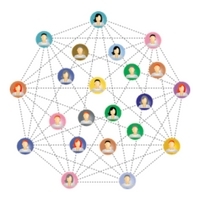 It’s not like you’re trying to connect with some international superstar – your market is local, and the people you want in your power network are local. Introduce yourself. Ask them to go out for a cup of coffee or a smoothie. When you’re out with them, ask questions, learn about them, understand them, understand how they built whatever they built. Talk about your vision and find out where the synergy exists. It all starts with culture. Establish a culture in your practice that is contagious, that is filled with excitement and energy, so that people will want to get behind your events and talk about them. Add consistency, doing something once a month, and you have the foundation for a practice that can grow. Effective patient communication is essential for practice growth. Many chiropractors make the mistake of speaking to a patient’s neocortex. A more effective solution is offered in Practice Tip #4. Stay tuned!